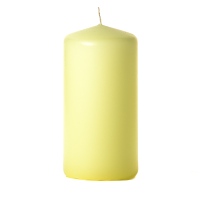 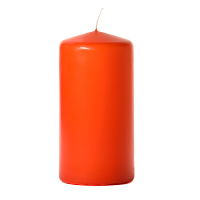 Our 3 x 6 unscented pillar candles are very often used for decorating at parties and events. We recommend to use unscented candles around food because smelling candle fragrances while eating can change the way food tastes. These 3 inch pillar candles our made by dipping a white pillar candle into colored wax, coating it on the outside. 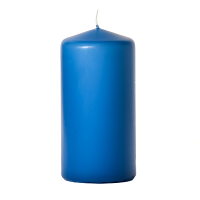 The colored unscented candles are available in a wide variety of bold colors along with white and ivory. Grouping 3 inch candles of different heights together, and surrounding them with accents, is an easy way to make an attractive arrangement for your table. 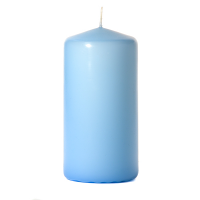 These candles may have a slight gradient in color going from lighter at the top to darker near the bottom. This is caused by the varying thickness of the wax coating on the candle. As the colored wax runs down the sides it cools creating a slightly thicker coating at the bottom than the top. 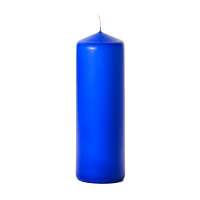 These 3 x 6 pillar candles will burn for approximately 66 hours.